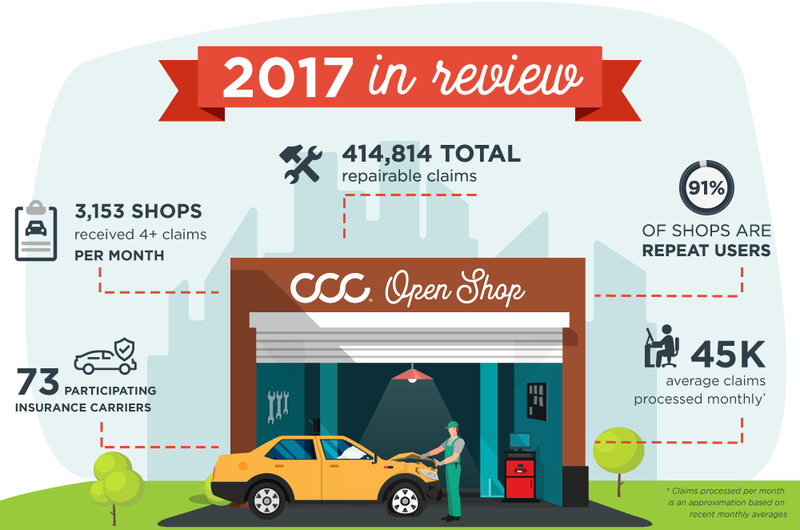 CCC announced Thursday that its Open Shop software had reached more than 500,000 insurer assignments to non-DRP shops annually. That seems like a pretty good track record given that the system debuted in 2012. “Open Shop is the industry’s first tool to provide insurance carriers with the ability to electronically send assignments to repair facilities outside of their direct repair program (DRP) network and enable those shops to accept the assignments, create estimates, and electronically upload them to insurance carriers,” CCC wrote in a news release. 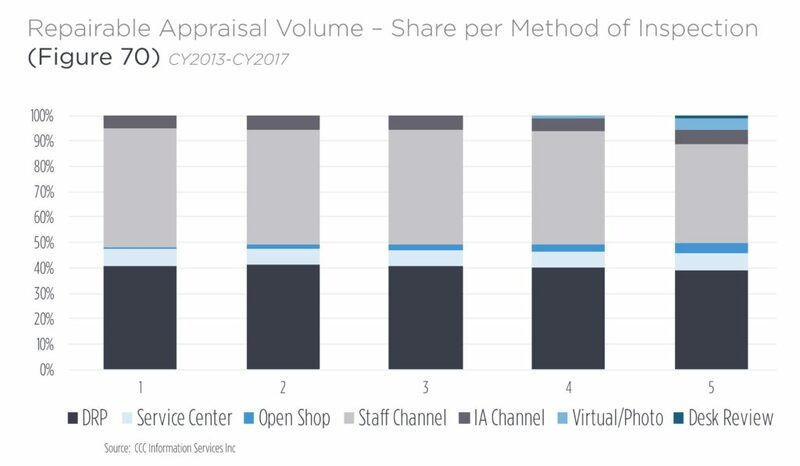 CCC’s 2018 “Crash Course” shows the small but steady increase in Open Shop usage over the past few years, from barely a hint of a presence in 2013 to nearing parity with independent appraisers in 2017. CCC in a news release called Open Shop’s current estimate load “a meaningful portion” of all CCC assignments. The rise of the service would seem to bode well for shops who haven’t obtained a seat on many direct repair programs or who are pursuing an alternative business model. 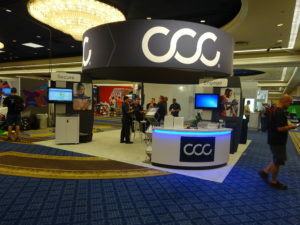 Asked for her take on the increase in Open Shop reported by her latest Crash Course, CCC Director and analyst Susanna Gotsch said it indicated that technology supported such a workflow. Prior to Open Shop, a customer who didn’t want to use a direct repair program had to use a drive-in facility or wait for an appraiser, she said. Open Shop made it feasible to start the process at the shop of choice. She said the initial estimate logged into CCC could have come from either the shop or carrier, depending on the insurer. Some insurers might accept the shop’s, while others might still send someone out to produce an initial estimate anyway, according to Gotsch. As Crash Course observed, the growth in Open Shop and other newer inspection formats such as desk review or photo estimating have come at the expense of insurers sending staff out to the scene. Vehicle Information Services attorney Erica Eversman has recommended shops write their own estimate from Day One rather than work off of the insurer’s, and the rise in Open Shop would seem to facilitate that practice.